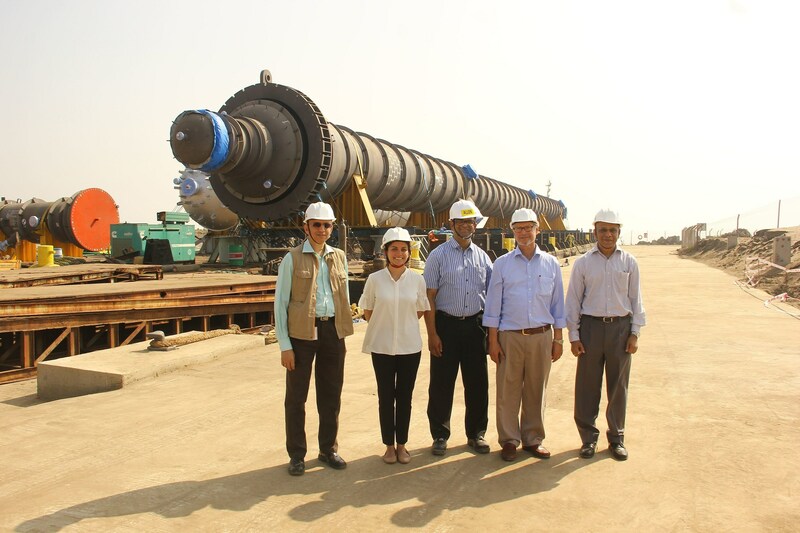 Godrej Process Equipment has shipped one of the World's tallest Continuous Catalytic Regeneration (CCR) Reactor to Dangote Oil Refinery, Nigeria. At 95 meters high, the CCR Reactor weighs approximately 703 metric tonnes, nine times heavier than a space shuttle. CCR is the key process in oil refinery converting low value naptha to high valuable products like petrochemicals and gasoline through various reactions such as dehydrogenation, aromatisation, isomerisation, dealkylation, dehydrocyclization. The CCR Reactor is a tall column with a continuous moving catalyst. Very stringent tolerances are required to be maintained for installation of reactor internals. The equipment being in Hydrogen service, calls for a very critical metallurgy (Chromium Molybdenum Steel) leading to a very complex fabrication requirement.